Beginning tomorrow – Friday, October 5 – transit riders who use the Grand MetroLink Station may need to park their vehicles in a new location. A portion of the Park-Ride lot at the Grand MetroLink Station will be blocked off to accommodate rehabilitation work on a nearby electrical substation. These parking spaces will be unavailable until further notice. 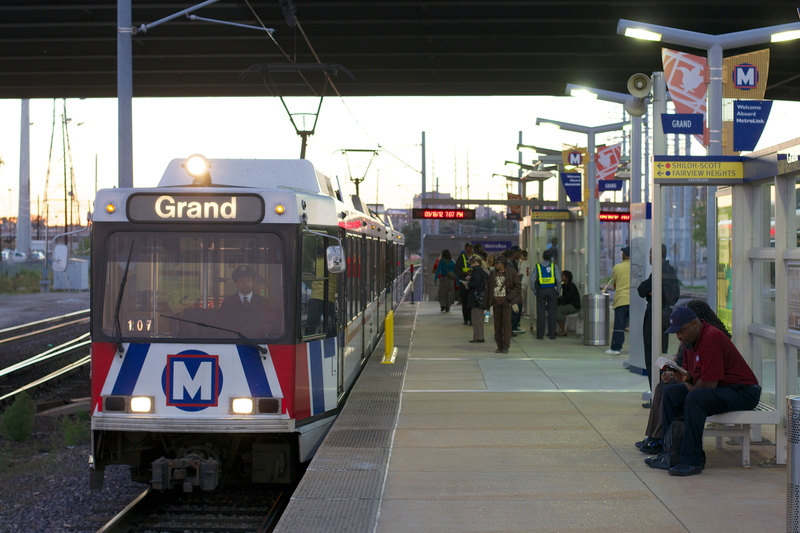 For more information, contact Metro Transit Information by calling 314-231-2345 or 618-271-2345, Monday through Friday from 7 a.m. to 6 p.m. Metro riders can also text Metro Customer Service at 314-207-9786, Monday through Friday from 7 a.m. to 6 p.m. The loss of parking spaces on Scott remains a mystery to me. There is no bus traffic on Scott, so the need for the wide avenue is not clear. Ridership from Grand would be increased if these spaces were allowed to remain in addition to the park and ride lot.